Comcast on Thursday made good on a long-running promise to enter the competitive wireless service industry with the introduction of Xfinity Mobile. 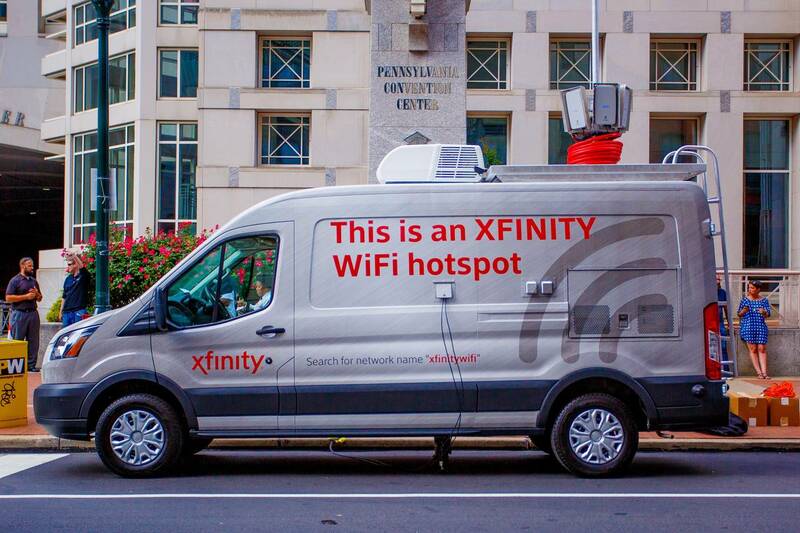 Comcast will operate Xfinity Mobile as an MVNO, piggybacking on Verizon’s nationwide 4G LTE network. The service will also lean on Comcast’s 16 million Wi-Fi hotspots to help better manage network traffic. Xfinity Mobile, which is set to launch mid-year, will offer two main data plan structures – an “unlimited” plan which grants high-speed data for the first 20GB (speeds slow after that) for $65 per line on up to five lines (or $45 per line for customers already on Comcast’s “best” X1 packages) and a by-the-gig option that charges $12 per GB of cellular data. For those that don’t use much wireless data, the by-the-gig plan could be very attractive. Comcast says customers can switch between data options without penalties, even mid-month. There are also no line access fees, payments are automatically billed through your credit card and of course, lines also come with unlimited talk and text. Other perks include 24/7 customer support via text messaging, hundreds of retail locations for in-person support, a call center open 24/7 and an app to help manage features and services. Comcast Chief Executive Brian Roberts said in January that the goal of the business is to have better bundling with some of their customers who want to save some on their bill and get a world-class product. Greg Butz, president of Comcast Mobile, said it’s about changing perceptions around their brand. Indeed, in a survey from 24/7 Wall Street earlier this year, Comcast was found to be the most hated company in America.